Sicily, which is located in Southern Italy, boasts a rich and unique culture, which extends to the arts, literature, music, architecture, and food. It’s an exciting and vibrant destination for tourists and Italians alike, especially since it’s home to a lot of ancient archaeological sites. 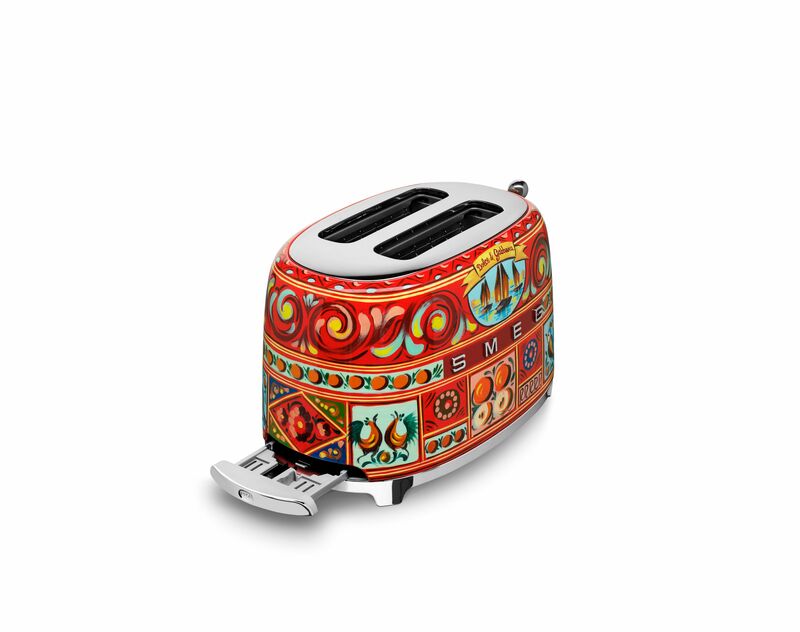 And it is exactly this vibrancy that inspired the recent collaboration between luxury fashion label Dolce&Gabbana and upmarket household appliance brand Smeg. 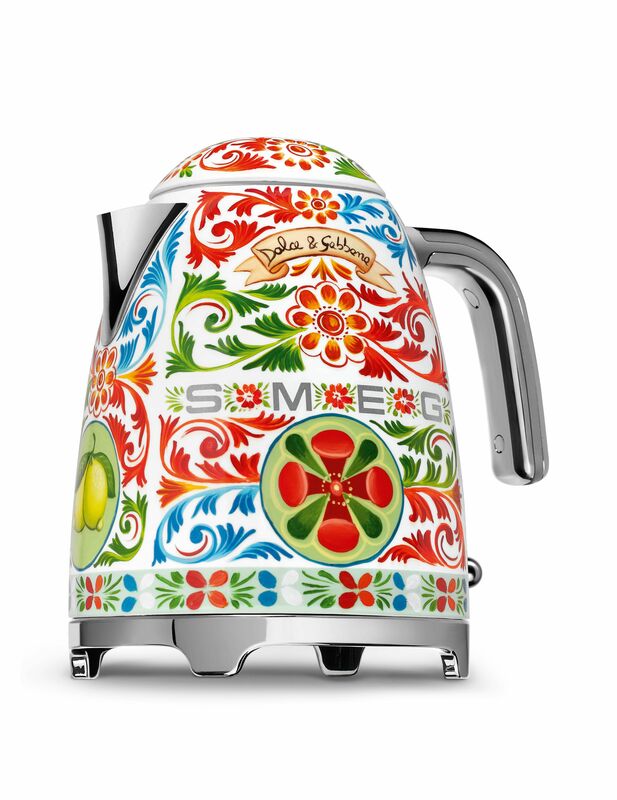 What results is an expression of creativity that boasts an unmistakable Made in Italy touch. 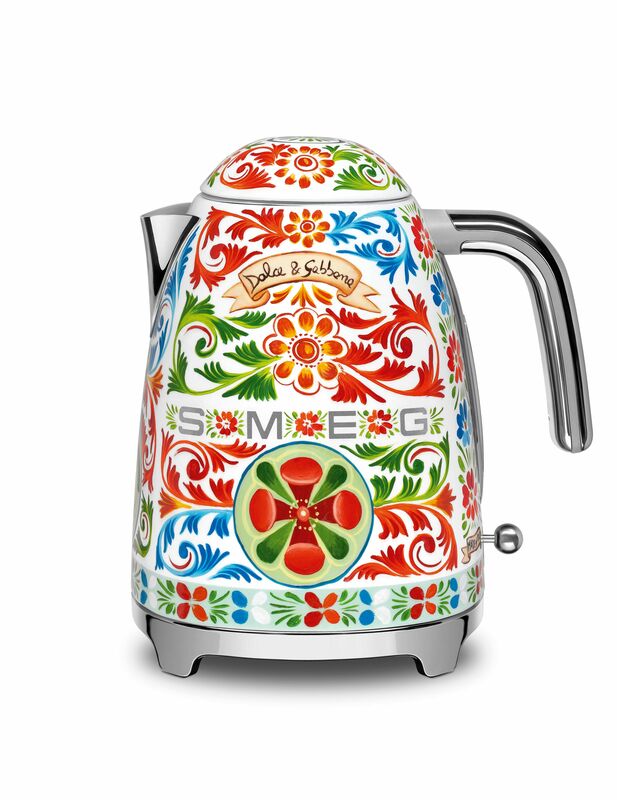 Beyond the eye-catching designs, the colorful “Sicily is my Love” appliances perfectly marry form and function, where Sicilian craftsmanship meets Smeg’s signature state of the art technology. 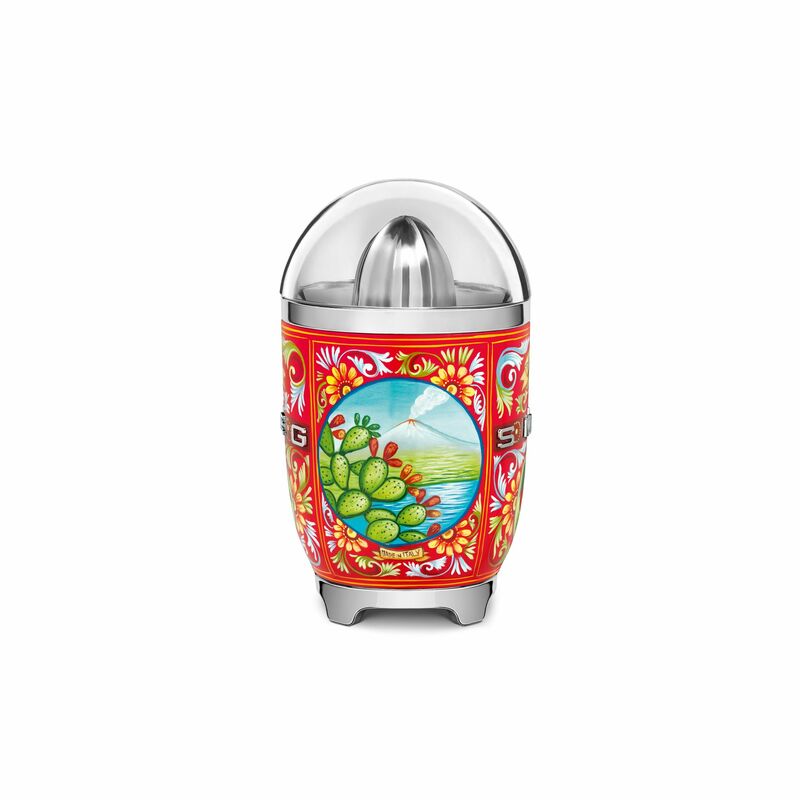 Zooming in on the toasters, citrus juicers, and kettles, your eyes will be immediately drawn to typical Sicilian designs that depict gold lemons, prickly pears, citrus fruits, and bright red cherries, which are framed in triangular motifs called crocchi. The Sicilian landscape is also on display here, with delicate floral designs inspired by what you would find on the coasts and landscapes of Southern Italy. There is also Mt. Etna, which is surrounded by ornamental friezes and picturesque ruins of the Greek temple of Castor and Pollux in the Valley of Temples, as well as trinacrie and cartocci, a decorative motif that is similar to stylized acanthus leaves. 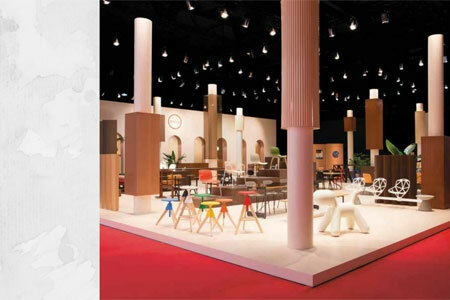 In the end, these are more than just designs. 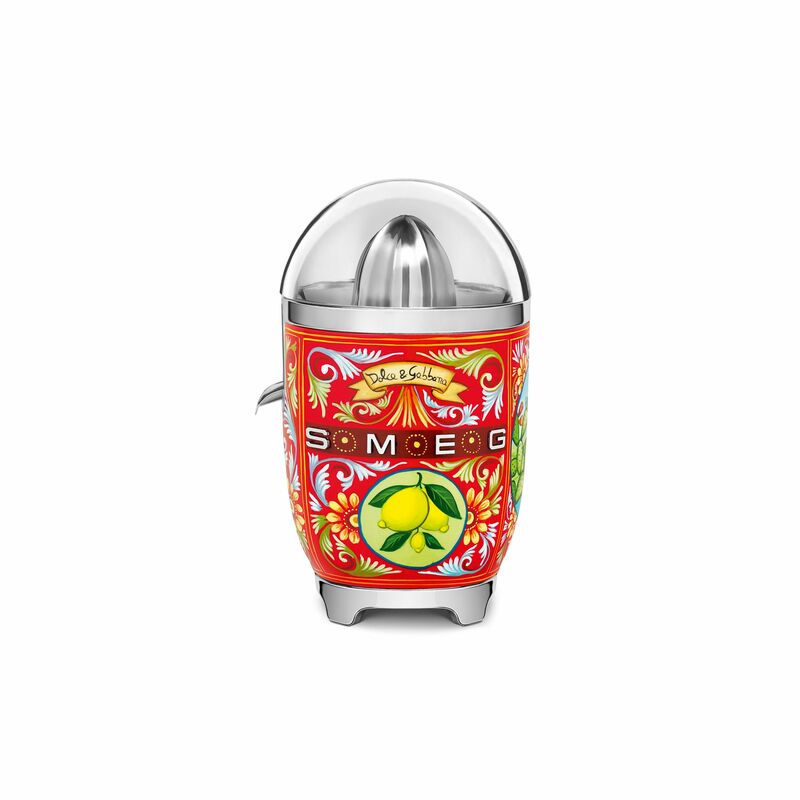 They are symbols that are inextricably associated with Sicily, home to the creative spirit that drives the genius of designers Domenico Dolce and Stefano Gabbana. 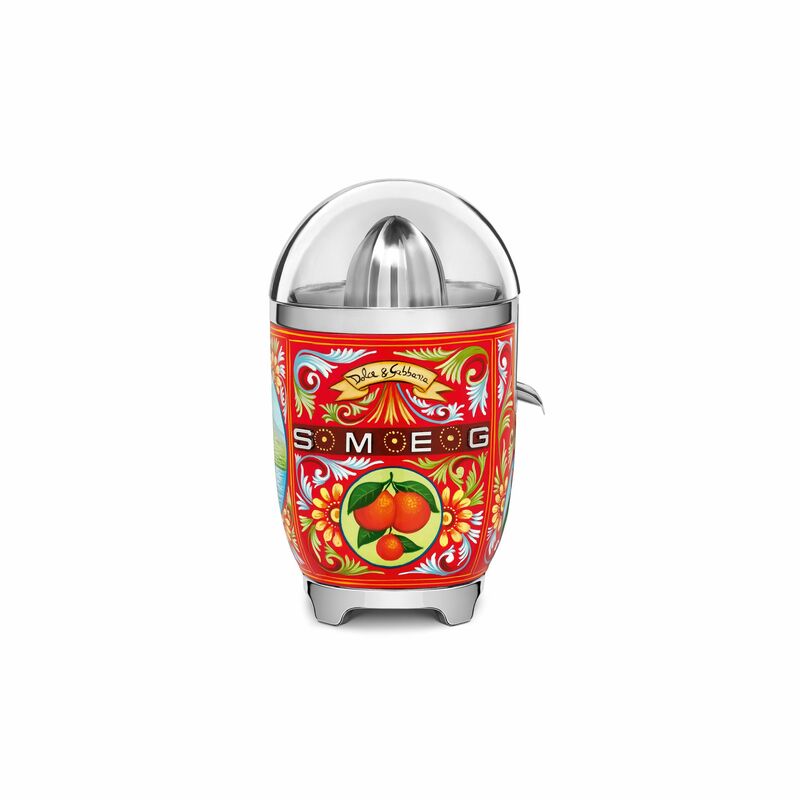 For the first time, Singaporean households now have the chance to live la dolce vita daily because the Dolce&Gabbana and Smeg collaboration will finally be available locally. So if you can’t be in Sicily to physically enjoy its rich culture, this is the next best thing. 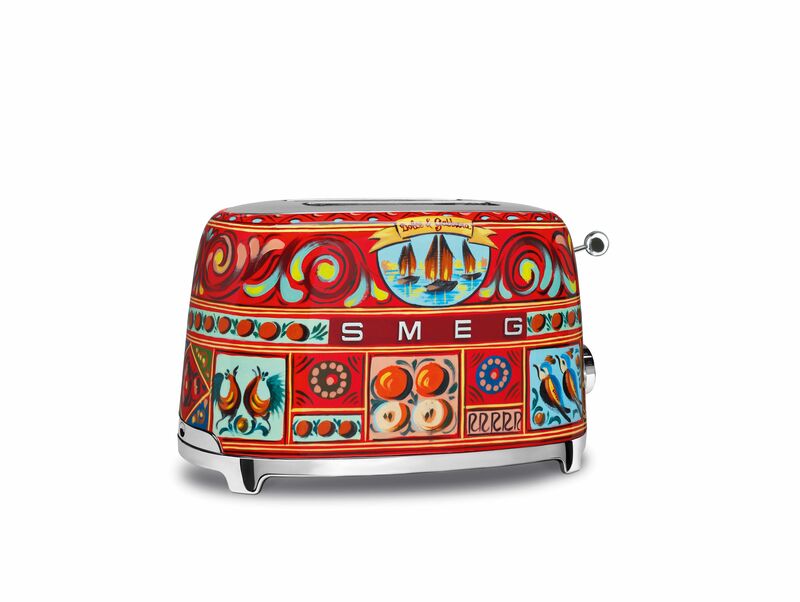 From 14 September 2018, the “Sicily is my Love” will be available for purchase at Tangs Department Stores, Harvey Norman Millenia Walk, and Smeg Gallery.